For “LIFETIME ACHIEVEMENT in ANIMATION“, Hayao Miyazaki is a prominent director of many popular animated feature films. For “VISIONARY AWARD” for VFX, Paul Debevec is a researcher in computer graphics at the University of Southern California’s Institute for Creative Technologies. For “VIDEO GAME HALL of FAME”, Shigeru Miyamoto. Considered by his peers to be the greatest video game designer in the world and called “The Spielberg of Video Games” by Time magazine (May 1996), Shigeru Miyamoto serves as the creative force behind the world’s most popular and enduring video games for Nintendo hardware systems. 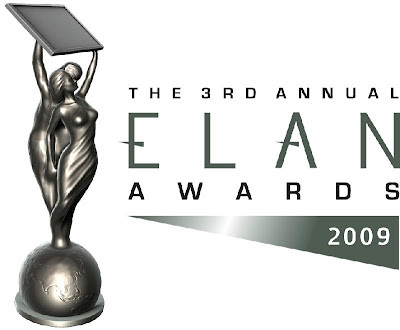 The three Honourary Awards will be presented at the upcoming ELAN Awards hosted this year by Tom Kenny, the famous voice of “SpongeBob SquarePants©”, on Saturday, April 25, 2009. See the full list of awards and nominees.